Just a quick photo this evening. 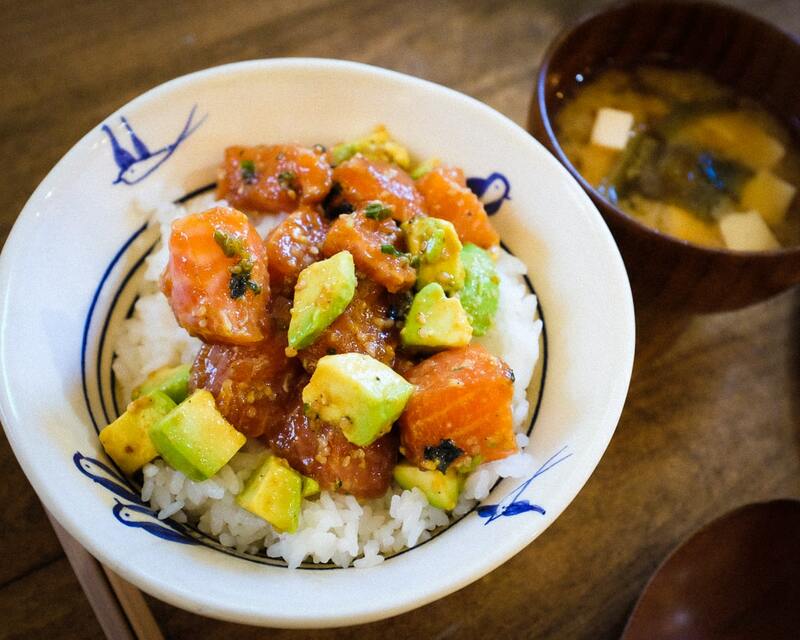 It’s late and my brain is tired… Anyways, tonight’s dinner was a marinated salmon and avocado donburi (rice bowl) with miso soup. Simple but delicious!